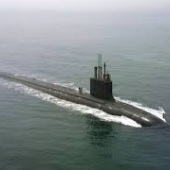 Huntington Ingalls Industries' Newport News Shipbuilding division will continue to procure materials needed for the construction of the U.S. Navy's Block V Virginia-class submarines under a $727.4M contract modification from General Dynamics' Electric Boat subsidiary. HII said Friday the modification increases its current long-lead-time material contract to $1.04B. “The start of early manufactured material is already underway for Block V submarines, which will include enhanced technology for today’s warfighters," said Dave Bolcar, vice president of submarine construction at Newport News. Bolcar added the additional procurement funds is "important to our submarine industrial base of more than 5,000 companies across 48 states. Newport News and Electric Boat work as a team to build nuclear-powered fast attack submarines that will replace Los Angeles-class submarines. The General Dynamics subsidiary was awarded a $2.04B modification last month to obtain additional Virginia-class submarine materials.